I've been getting some request from my guys frens to put up some stuff for guys.. It's not that I don't want to... but I find it is hard to shop for a guy.. hahhaha.. 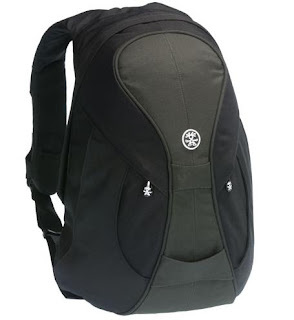 But, nonetheless, I hope the below Crumpler bag suits your needs..
(heyy.. girls need notebook backpack too u know!) 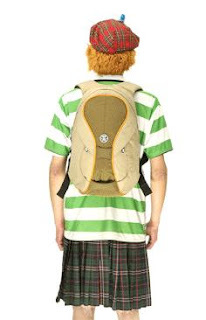 hehehehe..
* The sleekest most low-profile, secure, ergonomic and versatile 12" laptop backpack(could fit 13" laptop) to carry your IT oriented lifestyle to travel, work or play. 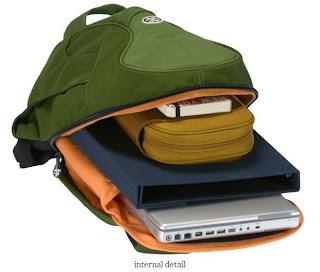 * The removable laptop insert can be used to insulate your lap whilst working, from a hot laptop. The bag is in BLACK/GREY color!! Selling here at up4sale-lenny's store for only RM388. Interested? Email me at chomells@gmail.com for payment details or any questions. 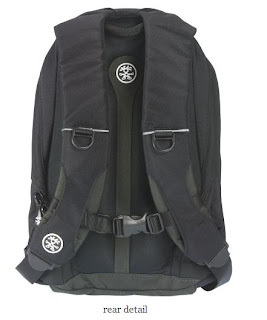 Note: Pics credit to Crumpler website. Saya berminat la ngan beg ini..
-is it too long..? kalau terlalu panjang x cantek sangat..